Win over all Pumpkin Spice lovers with this Apple Pie & Pumpkin Spice Beer Cocktail. A mix of pumpkin ale, bourbon, cinnamon, and apple cider, this cocktail tastes like Fall in a cup. It's totally classy (even featuring a cinnamon stick!) but takes nearly no time to prepare--and aren't those cocktails the best? Less time preparing = more time spent with friends (and the game!). And with our plastic cups, you don't have to worry about cleaning up, either! Fill a Solo® Squared® cup with ice. Add bourbon, apple cider, lemon juice, and pumpkin ale. Stir thoroughly. 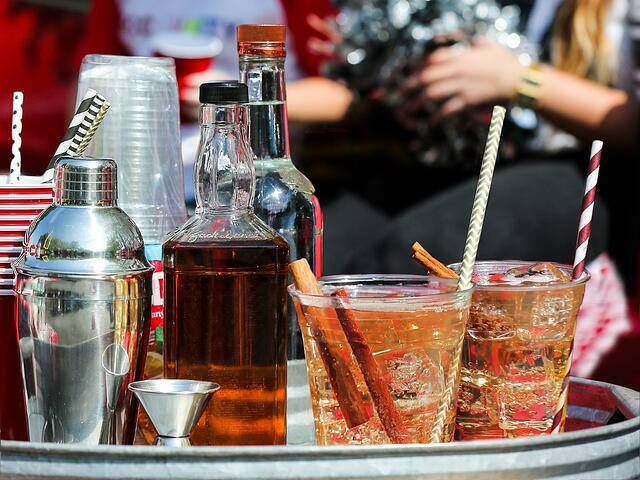 Garnish with 1-2 cinnamon sticks, and then drink up! Want more ideas to get the party started? Check out some of our other Fall treats that are perfect for game day here.